Our Anchors hold the refractory lining on the shell of industrial furnaces. JFE offers list of refractory anchors in various grades and materials such as inconel, nickel chromium steel, stainless steel. " UV " waved shapes are designed in order to insure the best anchoring of the castable lining, when this one has dimensional variations due to ambient temperature evolution and mechanical stress as well. Several types are available in respect of their way of fixing and if they anchor a single layer or a multi layer lining. JF Engineering manufacture Refractory UV Anchors. 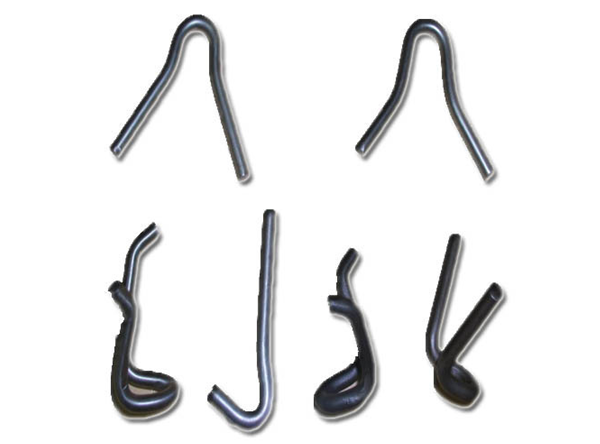 These anchors are used in refractory castable lining for single layer. These anchors are widely used in various industries and are easy to handle and have a long life. These are Known for their ultimate features like dimensional accuracy, corrosion resistant and durability.